Sprouting Green kale grows in loose bundles and produces flat leaves that are gently serrated at the margins. 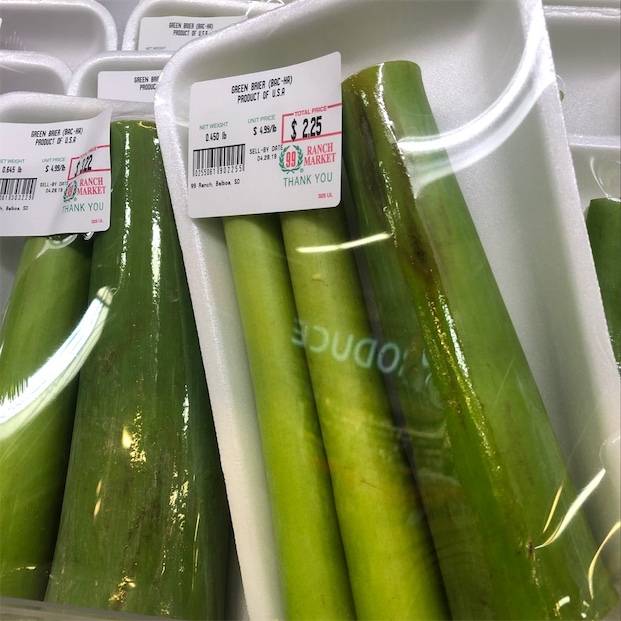 The stems lack the fibrous texture of the mature plant and are tender and sweet. They may be eaten like asparagus or baby broccoli. Its flavor is milder and sweeter than the larger frilled Green kale leaves and is reminiscent of sweet peas with a nutty earthy finish. Small yellow flowers may develop when temperatures warm, and are entirely edible. Use the sweet crispy leaves and tender stems raw or lightly sautéed. The season for Sprouting Green kale can vary, but typically occurs 4-6 weeks after the spring and fall harvests of the main kale crop. Green kale is a cool season crop that is botanically classified as Brassica oleracea acephala, meaning “without a head”. The most commonly found variety is Scotch Curled kale, a form of primitive cabbage. The second most widely grown kale is the Siberian or Napus type which, although in the same family, is actually more closely related to rutabagas. After the main kale crop is harvested, the roots, stems and outer leaves are typically removed, but if left, a second crop of smaller kale heads will sprout. They develop from buds located in the bases of the older leaves and share similar characteristics but on a smaller scale. 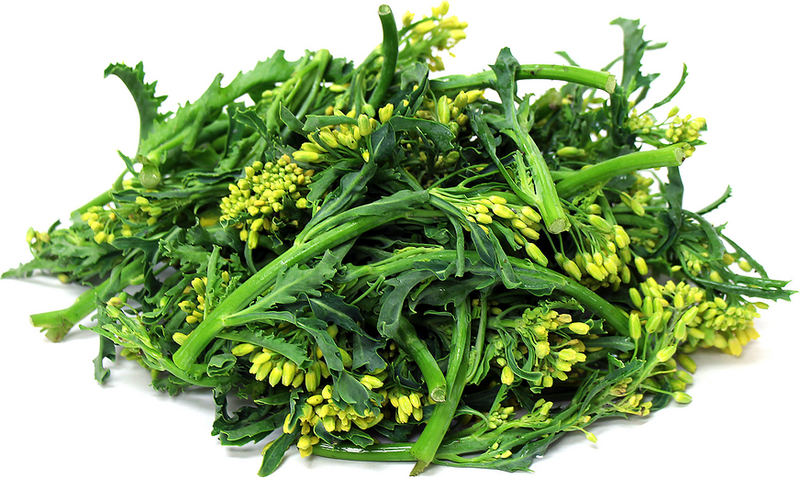 Sprouting Gren kale is an underutilized culinary ingredient because it is rarely left to develop. Like conventional kale, Sprouting Green kale is an excellent source of vitamins A and C, iron, calcium, magnesium, potassium, protein, carbohydrates and dietary fiber. Sprouting Green kale may be used similarly to other kale varieties. In the sprouting form it is quite sturdy and lends itself particularly well to a hard char in cast iron or on the grill. It may be steamed, braised, stewed, fried, sautéed, or left completely raw. It is great in hardy soups which contain smoked meats, potatoes, beans or barley. Other flavor affinities include, bay leaf, oregano, thyme, red pepper flake, nutmeg, shallots, onion, tomato, sweet potatoes, cheddar cheese, Parmesan, cream, roasted meats, chorizo sausage, pancetta and chicken. Researchers believe ancient Kale may have been grown as a food crop as early as 2000 B. C., however, Sprouting Black kale is new to most culinary markets. It is fast becoming a chef favorite for its decorative appeal and complex flavor. Today it is cultivated world-wide and yields the sweetest of crops after the first frost, and is even sweeter in this sprouting form.